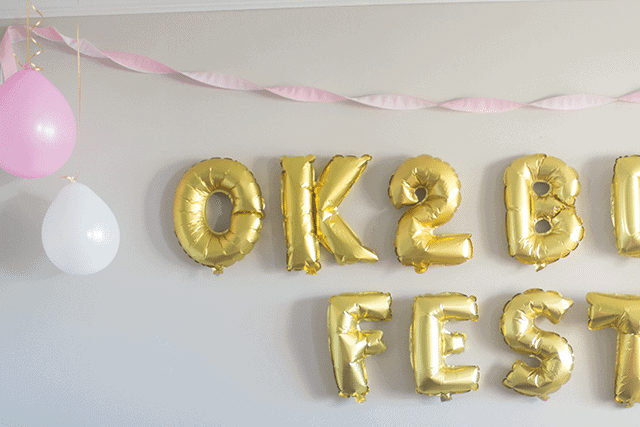 "Ok-2-berfest" 2nd Birthday Party - So Festive! 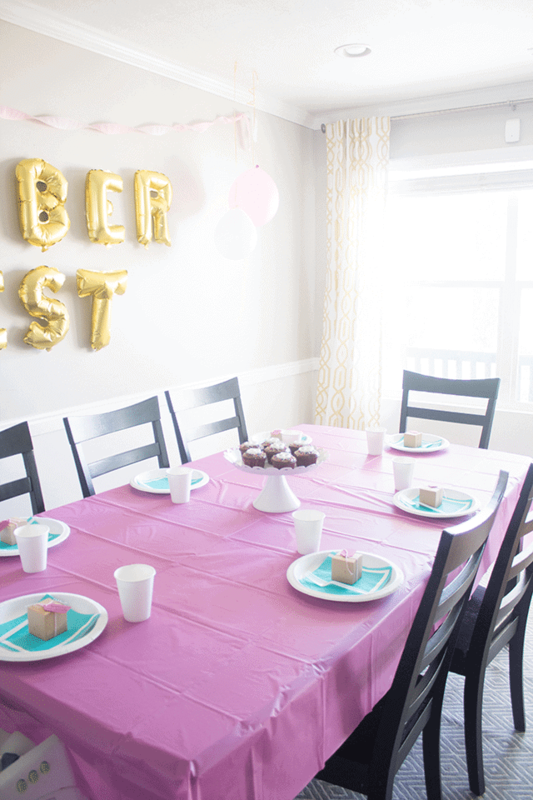 Throw a cute Oktoberfest party for your 2 year old with these fun Ok-2-berfest party ideas! My baby girl turned 2 last week. Gosh, that went fast. 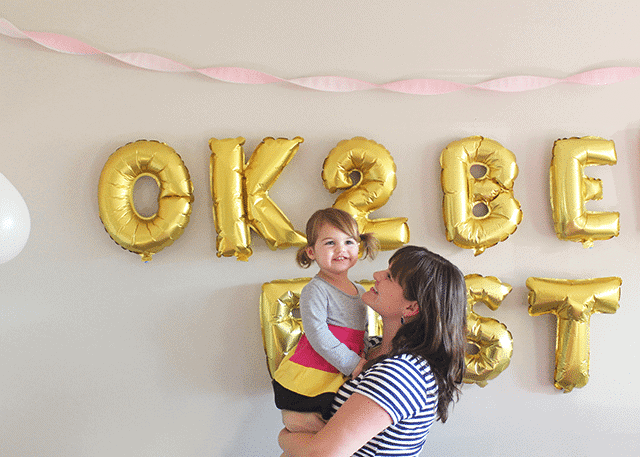 We threw an “Ok-2-berfest” 2nd birthday party for her and invited her grandparents to come and celebrate with us. Since I lived in Germany for a year back in my college days, I tied in some of my favorite things from Germany: Haribo gummies, brats (totally American style! ), soft pretzels, and root beer since we don’t drink beer around here. I think everyone had fun! I know I did! Evelyn loved the giant letter balloons! 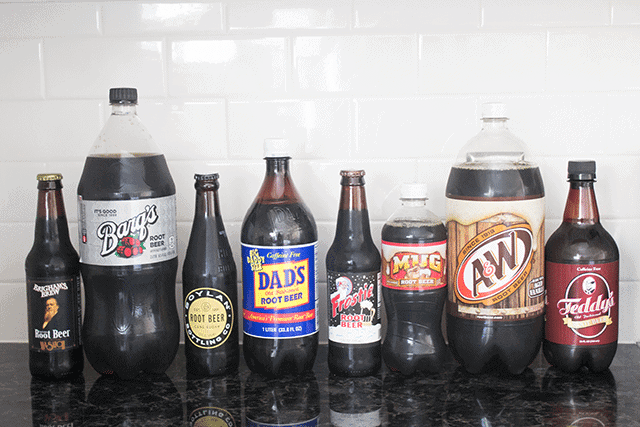 Related: How to Have a Root Beer Taste Test Party! 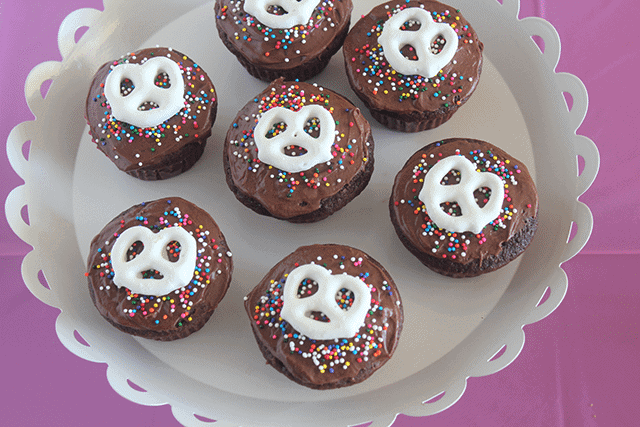 Chocolate cupcakes + yogurt pretzels (so German!) 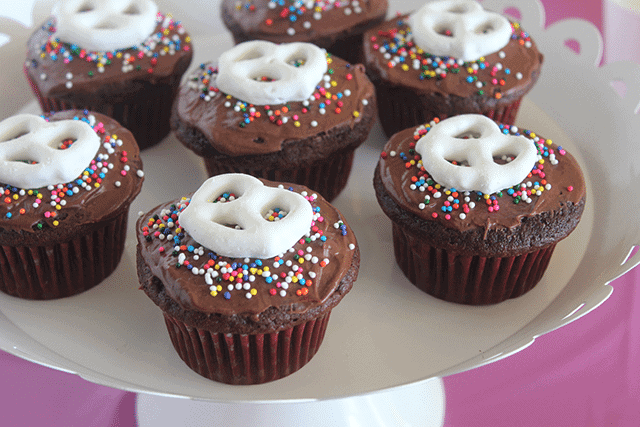 + sprinkles were a simple, but festive treat! 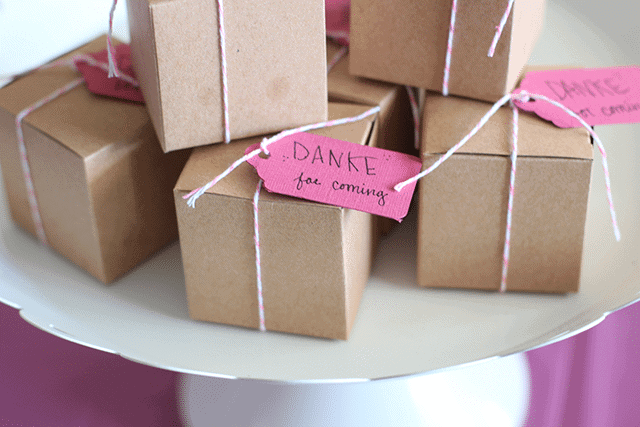 So for our Oktoberfest party favors, I packaged Haribo gummy bears in these cute mini craft boxes and attached “Danke for coming” tags on them. Danke means thanks, in case it wasn’t obvious. I’m not a cake expert, so I opted for chocolate cupcakes (recipe using a cake mix below) instead with yogurt-pretzel toppers. Pretzels are very German so I was happy with this super easy cake solution. I’m so glad my Evelyn loves to party as much as I do! But if she would just stop growing up so fast. I’d be much happier! 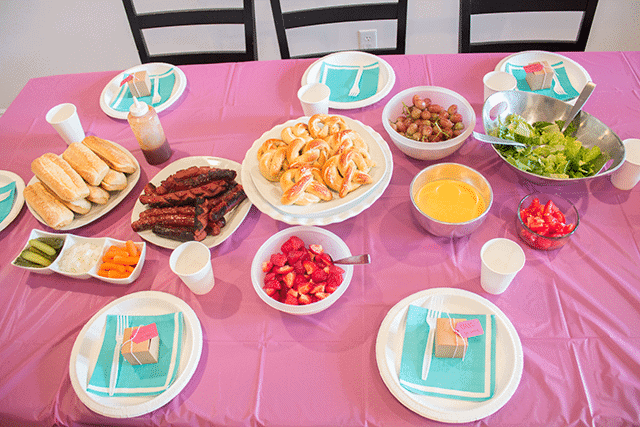 American Flag-Themed Food & Decoration Ideas! So clever! I love this whole party.